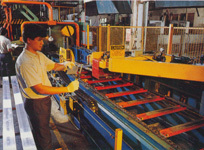 Selaco Aluminium Berhad starts its extrusion activities in 1988. 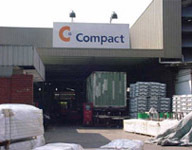 It is now one of the aluminium extrusion plants of Compact Group. Selaco is 90% own by Compact Metal Industries Limited, a public listed company on the Stock Exchange of Singapore. Selaco main activities are extrusion and anodising, while powder and fluorocarbon coating are carried out at its sister plant. The company aims to provide customers with a one-stop service for aluminium supply. Selaco is the member of Aluminium Extruders Council of USA and the company Quality Management System has been awarded ISO 9001:2008 certification by SIRIM since 1997.